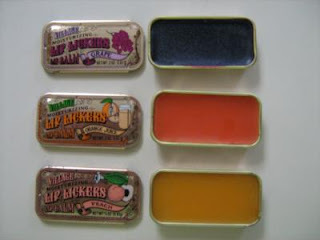 Remember Lip Lickers, the lip balm in the tins with sliding lids? The designer of those tins found my 2006 Pop Culture Junk Mail post and wrote a great comment about what it was like working with the company back in the day. I love your blog. I am in England and I have just found this. I would really like to get in touch with Joel (the guy who made the lip lickers!). Do you have his email address? I pressed the link for him and it went to a website about a retreat! Is that where I would find him. It would be so much appreciated. Can you help me? Oh Barnabas, what have they done to you? Fun night on WGN Radio!